An early and very fine GOODELL PRATT No.0 reciprocating drill. 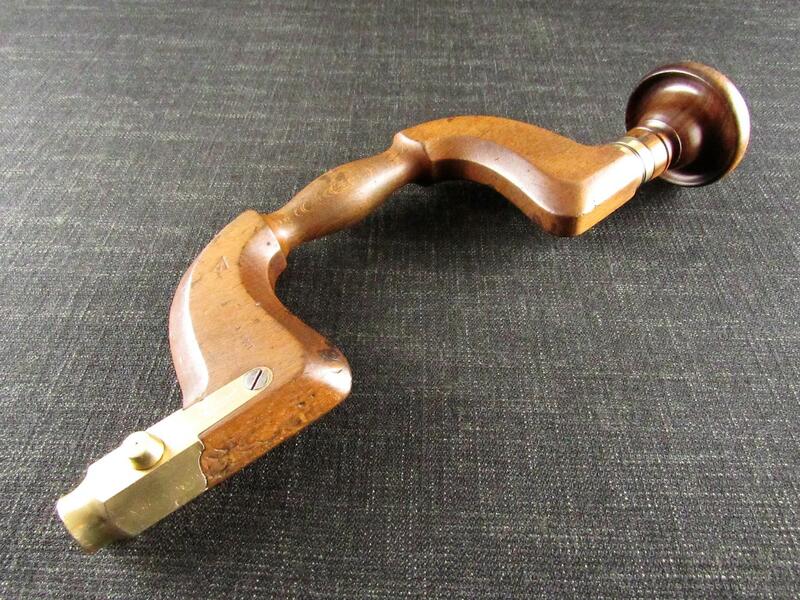 Lignum vitae ball bearing head with cherry travelling handle. The three jaw chuck is marked 'GOODELL PRATT COMPANY GREENFIELD MASS.U.S.A. PAT.AUG.13.1896'. 16 inches overall length excluding the jaws. We believe you will struggle to find a better example.